1980 - Left to Right. 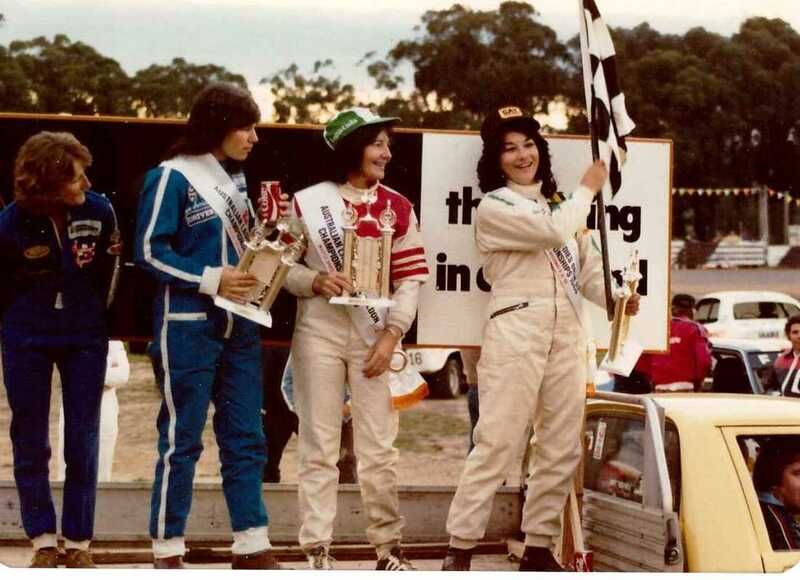 Kay Anwall - June Aurich - Denyse Buther who drove Max De Jersey's Hatchback Torana and Heather Aurich with the flag. Photo: Ray Read - Names Richard Turner. 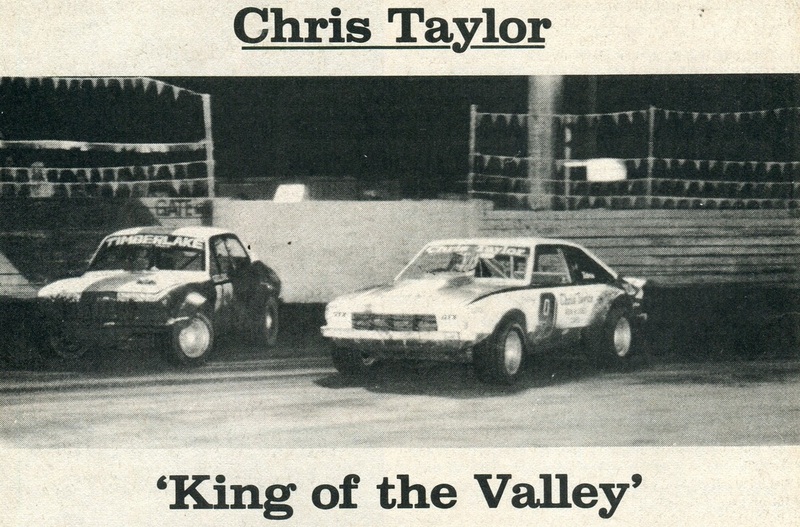 1980 - The front row for the feature. 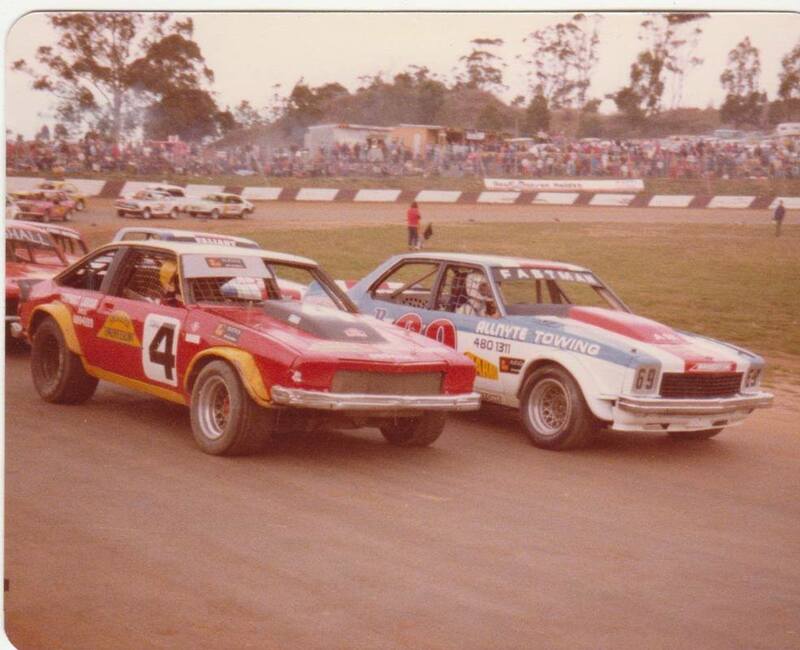 Denyse Butcher in Max De Jersey's hatchback and Heather Aurisch in Ray Sheahan's L34 Torana. Photo: Max De Jersey. 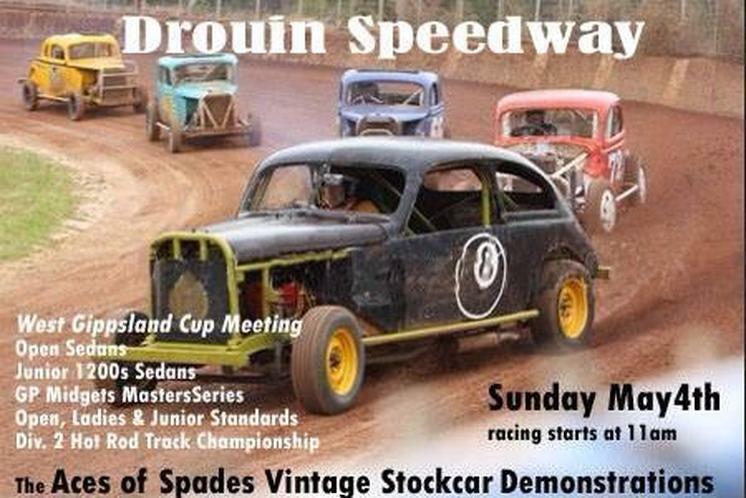 Wattle Park Speedway went through a name change to Garfield Wattle Speedway when the two clubs merged following the closure of the nearby Garfield Speedway. 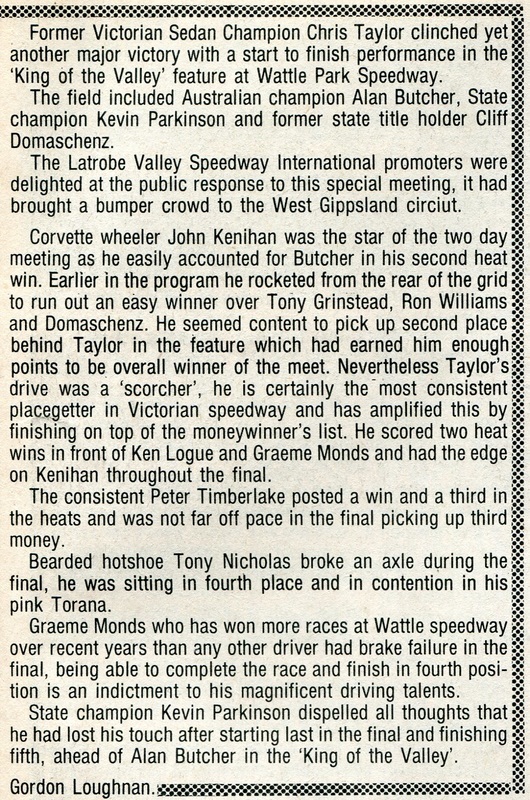 Rohan Moran recalls: Wattle Park Speedway was built by my grand farther George Moran, he was VSC champion winning almost all division two Hot Rod Championships from about 1971 through to about 1978, He designed all of the track from the very start along with a handful of local Drouin guys that chipped in here and there, He spent every spare minute working on the track and actually ran his HX Statesman road car around it regularly ... flat out to improve the shape where he could. He recently passed away and left me all his trophies and memorabilia.